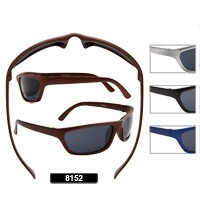 We have great deals here on all of our wholesale sunglasses! These styles are only $8 per dozen very cheap priced! Remember we do not have any minimum order requirements. 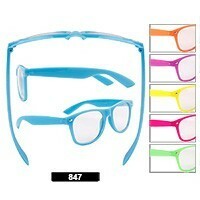 You can purchase one dozen and up on these. The more you buy the cheaper you get them! Buy a full 25 dozen of one style at $6 per dozen. 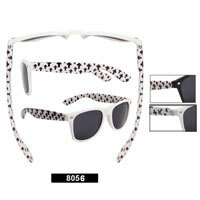 These sunglasses come packaged in plain white boxes. 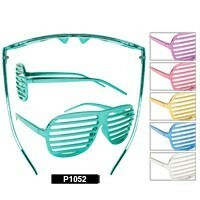 1 Dozen Party Glasses "Handcuffs" In Assorted Colors. We have many different styles that are priced very low. 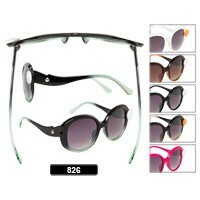 We offer these cheap wholesale sunglasses at these low prices so that you can make a bigger profit. 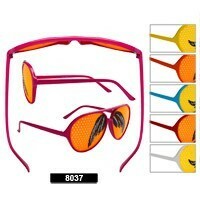 Most of the styles we have for $8 per dozen are sports styles. 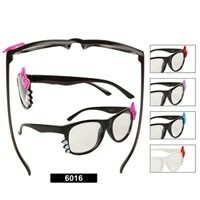 Wholesale price on these sunglasses at only $0.67 per pair if you buy by the dozen, or $0.50 per pair if you buy by the case (25 dozen of the same style), you could resell them for $5.00 - $8.00 each or even more. This in turn could mean you might profit by $52.00 - $88.00 per dozen. 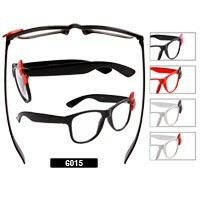 Just because we offer these styles at such a low cost doesn't mean that our quality is lower. 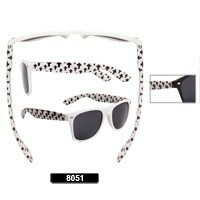 We take pride in the sunglasses we sell and will stand behind our style no matter what the price. That means that you can feel confident in the product you are purchasing with less worries. Keep in mind that we have no minimums or maximums for orders. The more you order the less cost to you and bigger profits. 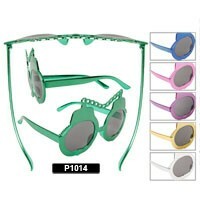 Stock up on these Cheap Wholesale Sunglasses!